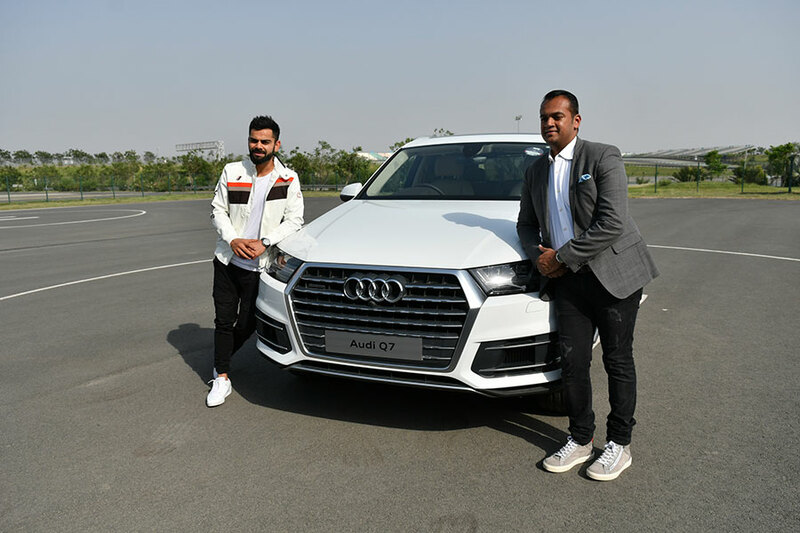 Audi, the German luxury car manufacturer, today, welcomed the Captain of the Indian national cricket team Virat Kohli into the Audi Q family by adding another ‘quattro’ muscle into his fleet; Mr. Rahil Ansari, Head, Audi India handed over the keys of the SUV icon Audi Q7 45 TDI in Carerra White colour to the National Cricket icon Virat Kohli. The powerful 45 TDI (3.0 TDI) engine churns out 249 hp (183 kW) of power and 600 Nm of torque, propelling the Audi Q7 from 0 to 100 kmph in 7.1 seconds. The Audi Q7 sets new standards in terms of efficiency with fuel consumption figures that are best in class – 14.75 kmpl. Up to 325 kgs lighter than its predecessor, the Audi Q7 Technology is available at INR 80,95,000 ex-showroom New Delhi. The Audi model range in India includes the Audi A3 Sedan, Audi A3 Cabriolet, Audi A4, Audi A6, Audi A8 L, Audi Q3, Audi Q5, Audi Q7, Audi TT Coupé, Audi S5 Sportback, Audi RS 6 Avant, Audi RS 7 Sportback, and Audi R8 V10 plus available across the country.